Here’s something all writers have in common; we can really only write about things we know. This post could have been about the top five Super Famicom games in existence, but I haven’t played them all, so I have no way of ranking them in a meaningful order. I could go and look at a few other lists that are out there and compile a list of my own, but then I wouldn’t really be true to myself. So, instead, I’m going to talk about the top five Super Famicom games I own. Again, these aren’t necessarily the best games in existence, let alone the best games for the console, but they are the very best of the ones I’ve had the pleasure of owning. So let’s get on with this. The fishing genre of video games can sometimes be seen as inane. After all, fishing is just more fun in real life. Why would you play a game when you could be out having fun on the rivers, lakes and oceans of the world? Still, there is something that draws people to fishing games, and, if you’re going to play one, it might as well be a Japanese initiative, for reasons I’ll get in to later. And, perhaps it’s a good entry point for people who aren’t prepared to drive three hours to the nearest lake, get blasted by the sun, get eaten my mosquitoes and get covered in fish slime for the first time. Kawa no Nushi Tsuri quite literally means “Fishing the River Master”, so as you can imagine, the goal of the game is to find and successfully catch the River Master, which in this case is a Japanese lates. Kawa no Nushi Tsuri 2 is a RPG fishing game with specific quests and a peripheral storyline, and is a sequel to the original Famicom release. 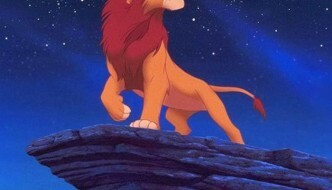 It was released on March 27, 1992. I’ve talked about this game before, and, it is still one my favorites in the genre. There are 72 different fish (6 of which aren’t really fish and are only for EXP) that can be caught in this game, though not without a heavy investment. When you catch any of the 66 fish, they are recorded in your notebook. You can also go for the record size of each fish, if you so desire. This could prolong the completion of the game indefinitely. This was the game that eventually turned me on to real-life fishing. Up until that point I was mostly an arts and sports kid, and this game made me want to make excursions into the great outdoors in pursuit of fishing adventures. And adventures I did have. I gave up a lot of my time and money for the pursuit of this hobby; I even walked long miles just to explore new fishing spots I hadn’t been to. I didn’t really catch a lot of fish, but along the way I did encounter a snake, climb difficult terrain, witness several monster koi fish, and meet some interesting people. It was fortunate that a lot of my friends were either in to fishing already or were interested in getting started, because I dragged them everywhere. If there’s one thing that the Japanese do well, it’s creating fascination and intrigue around a subject. They create a lot of TV shows and movies that could stoke your flame for just about any passion you can imagine. I think that’s why this game so lured me in to the world of fishing (pun intended). Umi no Nushi Tsuri is a spin-off of the Kawa no Nushi Tsuri series that brought the player to the oceans instead of the rivers. Those who are familiar with fishing know that not only are there different types of fish in the ocean as opposed to the rivers and lakes, there are also much bigger fish. Umi no Nushi Tsuri was released on July 19, 1996; rather late in the lifespan of the Super Famicom system. The game itself was even more polished than Kawa no Nushi Tsuri 2 (which came out four years earlier), with better graphics and a larger world to explore. Umi no Nushi Tsuri also boasted 109 catchable fish as opposed to the 72 in Kawa no Nushi Tsuri 2. Though I haven’t invested a lot of time in to this game (I was in a significant transition point in my life when the game came out), I will admit that ocean fishing doesn’t appeal to me quite as much as river and lake fishing. In real life, I enjoy fishing for bass, pike and trout more than just about any other fish, though sea bass fishing is pretty fun too. 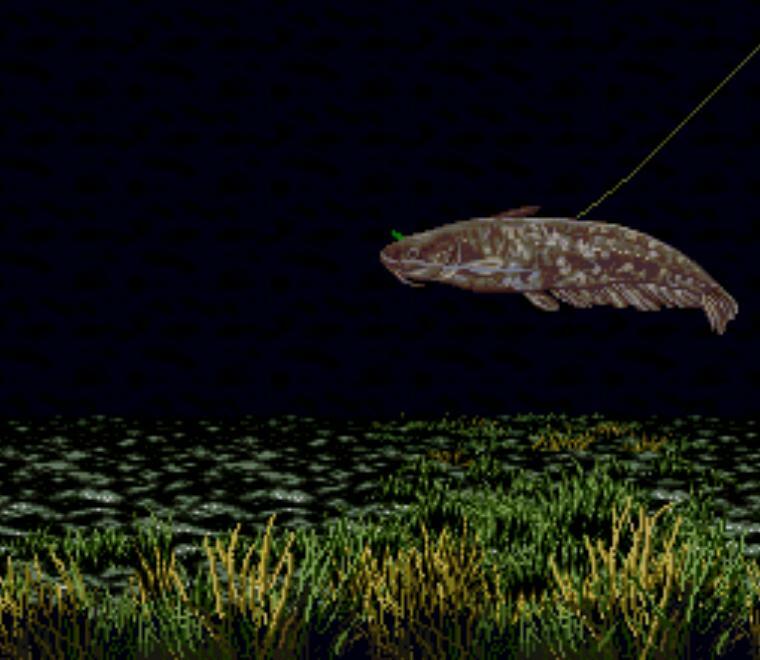 I have some recollection of playing a couple of other fishing games for the Super Famicom, but I will be the first to admit that my exposure is somewhat narrow. I like to talk about the Nushi Tsuri series because I think you would be hard pressed to find a game with as much care, love and detail devoted to it. Still, people want to know, so here are a couple more fishing games for the Super Famicom. It should go without saying, but this list should not be considered comprehensive. Keiryuoh – This game has 52 catchable fish and also has a weather system that adds a bit of challenge. 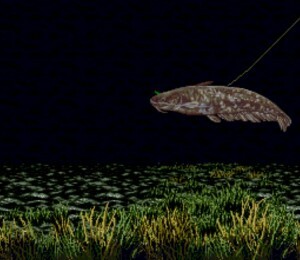 The player must carefully select their bait in order to catch fish under particular conditions. 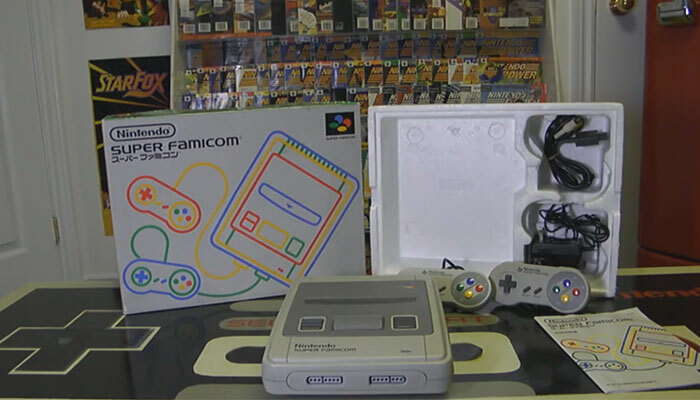 The graphics are quite good for Super Famicom, and all the in-game fishing gear is available for purchase in real life. Iso Tsuri Ritou Hen – Much like the two games I covered earlier, this game was also developed by Pack-in-Video. 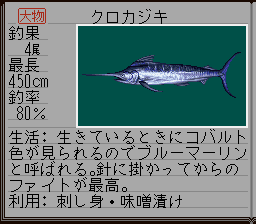 Iso Tsuri doesn’t have any of the RPG elements of the other games, and is more dedicated to the world of fishing. It’s also more realistic and difficult to master. There are 20 catchable fish in total, and the location is based on a real-life spot in the Izu Shichito isands. My love affair with Japanese RPGs was not immediate. My family moved to Japan when I was about to turn 6 years old, so it took some time to get acquainted with the language and culture. Since my family did not own a Famicom when we first moved to Japan, I would find any excuse to go over to a friend’s place to hijack their system(s) for a few hours. Some games were easy enough to figure out (like Super Mario Bros. or Elevator Action), while others remained a mystery in my mind. Since my friends often had different games in their collections, I would work my way through their entire collection just to see what each game was like. More than likely, that’s when I first came across Dragon Quest III. I could read a bit of Japanese, but not enough to figure out how the game worked. I was persistent in plugging the game into the console just to see what it was about, but it just didn’t appeal to me. It wasn’t until I had spent several years in the culture and I was bored enough to take Dragon Quest V (for the Super Famicom) on a test run that I finally understood the allure of Japanese RGPs. Doubtless, I’ve talked about that on this blog already. Eventually, it would lead me to go back and play earlier games in the series, including Dragon Quest III. That’s when I got hooked. One of the cool things about Dragon Quest III is the ability to customize and register a variety of different characters with varying skills and attributes based on their class. While your party was mostly pre-determined in other games in the series, Dragon Quest III allowed you to construct your own team how you saw fit. The game also allowed you to change classes later on. For example: a Mage could change over to a Priest, thereby gaining the magic abilities of both classes. The requirements for changing classes were first getting to the Temple of Dharma, and secondly gaining enough experience to reach level 20. Any character that changed classes would start over at level 1, though as I pointed out, they would carry some of their abilities and attributes with them. As is the case with many early RPGs, plot points in DQIII would sometimes be ambiguous and the player would have to determine their next logical destination and course of action, either based on information that was hinted at by an NPC, process of elimination, gut instinct or pure luck. 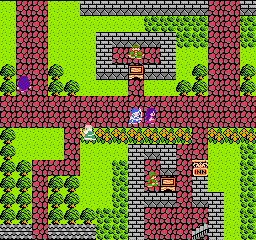 Dragon Quest III is already a classic of sorts, but if there was one thing that would have made it better, it would be giving it a much richer, deeper storyline and engrossing world. But, as I already pointed out, it’s an early RPG and the developers were still playing with the format, so you have to be somewhat forgiving. The fact that you could determine your own team was cool enough. It was even cooler that you could register more characters so if you found that having three Goof-offs in your party (only 4 members including the Hero could be active at any time) was not terribly advantageous, you could go back and register a Warrior, Martial Artist, Priest or whatever you saw fit. Although there certainly is a logical progression to the game, it did have a bit of an open-ended feel. You could spend as much time as you wanted leveling up your various registered characters, earn gold, buy new gear and explore new areas (you could also call it grinding, I guess, but it feels more open-ended here). 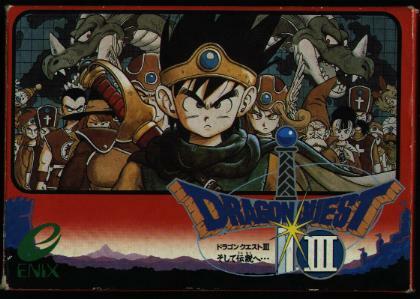 Dragon Quest III was initially released for the Famicom, but Enix did a remake for the Super Famicom as well. 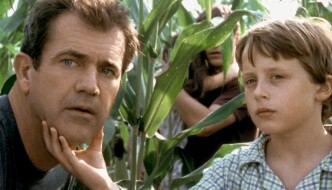 Unquestionably, the better release – at least in my humble opinion – was the remake. While exploring the world map and various dungeons in the original felt slow and clunky, they made it fast and responsive in the remake. Random encounter battles could also be handled more efficiently. Obviously there are improvements to the graphics and sound quality as well, though that’s to be expected. Additionally, they introduced a new class, the Thief, to this rendition. Having developed such a smooth and sleek rendition of DQIII, why they went back to a slow, repetitive and clunky system in Dragon Quest VII for the PlayStation is still beyond me. I suppose it had something to do with the 100 hours of gameplay, but I always felt it would never take that long if the game allowed you to move around the maps rapidly and get through random encounters speedily. Dragon Quest III can be found for the Game Boy Color, though it is a little rare. In his first ever video review, Adorable Andrew discusses Super Fire Pro Wrestling 2. The game was released by Human Entertainment in 1992 for the Super Famicom platform. The game was a Japan only release. Andrew points out the vast selection of wrestlers you can play as. Andrew shows his appreciation for the game’s music. Andrew briefly touches on the graphics of the game. Andrew discusses how there are no status bars in the game, and you have to rely on visual cues to determine when to pin your opponent. Andrew suggests that one of the playable wrestlers bares resemblance to Hulk Hogan. Andrew demonstrates a tag team match-up. Andrew suggests that there isn’t that much of a difference between the wrestlers, although they do have different moves. Andrew pokes fun at the sound effects. Andrew discusses the origins of video game music. Andrew demonstrates his favorite move in the game by throwing his opponent into the turnbuckle repeatedly. Andrew plays as Mad Tiger, whose special techniques include breathing fire and kicking his opponents in the crotch. Front Mission was released in 1995, and developed by Square. The game was released for Super Famicom (SNES) but was never released outside of Japan (Update: you can find it on the Nintendo DS now). And that’s a shame, because it’s actually a pretty cool game. It’s basically a turn-based strategy game with role-playing elements. Your characters pilot wanzers, essentially large robots armed for combat. Your wanzers are highly customizable, and as you progress through the storyline, better parts become available. The story begins where Royd’s fiancée, Karen is killed by captain Driscoll (who later uses Karen’s brain as the processing unit for his wanzer). Royd and his team were merely examining the premises, but this hostile action provokes Royd and his team to action, and sets the stage for the first mission. While the storyline is pretty good, the main protagonist, Royd, is a rather stoic and colorless character. When Olson, the colonel of the mercenary unit Canyon Crows comes to recruit him, he readily agrees to lead the unit (without much persuasion). In this way, rarely does he make judgment calls of his own. With that said, the game itself is a lot of fun. One of the best features about Front Mission is the ability to customize your wanzers. Everything from shoulder missile units to leg parts are fully configurable, and while it’s usually a good idea to stick to the “best” parts, there is still a lot of choice. Through trial and error you may occasionally find unusual setups that work well. The turn-based gameplay does require some thought, and the wrong move may find you surrounded by enemy wanzers. 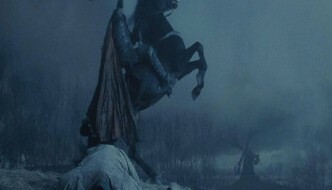 Rarely is it a smart idea to go charging in to the middle of battle, especially with Royd. If Royd is defeated in combat, you will see the “game over” screen. Fortunately, that never happens if any of your other team members are crushed. Most of the time you are far outnumbered by enemy machines, but typically their gear isn’t as good as yours (as long as you continually upgrade), and because your characters level up as they gain experience, they tend to be ahead of where your enemies are. As long as you make wise tactical decisions, you shouldn’t run into too much trouble. The early missions tend to be a little challenging, however, until you get used to the system. The music is pretty cool, though it’s certainly not as memorable as the music from Final Fantasy VI. If anything, the shop music is the theme you remember the most, because of its laid-back, bouncy Jazzy vibe. The menu system and the overall esthetics are unique to this game, and it’s obvious that they put a lot of time into every detail. A slight departure from other Square games, Front Mission is a classic in its own right, spawning many sequels and spinoffs. In another post I mentioned that this game wasn’t so much fun as it was addicting. 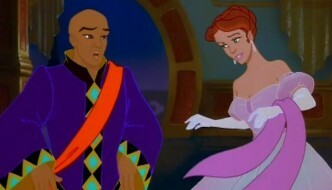 I don’t retract that statement. Yes, it’s fun, but it’s addicting more so because once you’re past a certain point, you just want to keep going so you can upgrade your equipment and test it out on the battlefield. I recommend this game to anyone who can read Japanese, or somehow get by with all the English that’s in the game.